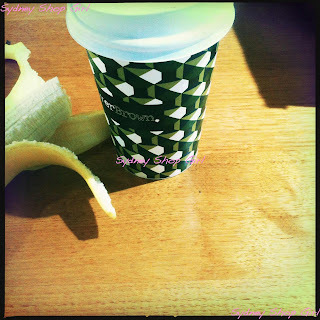 Sydney Shop Girl: Life Beyond the Diamond Collective. Bathers for Bumps. Life Beyond the Diamond Collective. Bathers for Bumps. As the key demographic groups for print and online newspapers start to demarcate quite distinctly, it's probably not unexpected that the lead articles on the home page or the front page of each edition differs accordingly. As an avid reader of both media, I'm getting the distinct impression that the broadsheet (soon to be tabloid) form of the Sydney Morning Herald has the late twenties to early forties woman in the middle of its viewfinder. The weekend supplements have long been the stomping ground of 'female friendly' commentary but have you noticed the changes in the regular sections of the paper? Or is it just me. It started a couple of years ago with the articles on page 3 or 4 that would appear every couple of months but have lately begun to appear on a weekly basis. 'Women's interest' topics such as IVF, childcare, motherhood in the context of a career outside the home would be written about in the context of emerging research released by respected academic institutions. Of these, IVF would be the star performer with and the director of every service in the Sydney area invited to comment. As you know, IVF is a topic close to my heart. It's been interesting monitoring my own reaction to the articles as time has passed and my situation in life has changed. Initially, I read the articles casually and stored the relevant information in that dusty filing cabinet of my memory full of random information that had no particular purpose. As I was approaching my own treatment I tried not to read them but snuck a look at the 'happy photo and personal narrative box' of the articles and offered a virtual hug for the couple and new bub featured and a silent prayer for myself. Now that I am in a post IVF phase of my life, I read with a deep feeling of thanks for myself but also some reflection and hope for the many who are still facing the uncertainties and pain that accompany the great hope it offers. to introduce Sydney to its latest demographic, the 'Diamond Collective'. In a counter attack on the seemingly endless articles about fertility, motherhood, parenting and families, this article focussed on high disposable incomes, the 'I deserve it' approach to high end shopping, living for the moment and retail strategy. I'm not convinced that being part of the Diamond Collective confers any particular benefit to its members but to retail analysts working on the Sydney area, it's a gold mine. Apparently this segment of the sisterhood spends enough (in the right places) to fuel the expansion of global luxury brands into Sydney. While the finance and banking sectors are down at the moment, DC industries (advertising, fashion, telecommunications, marketing) are still paying and employing in Sydney and at proportions for women that are the highest in the country. There was much talk (as opposed to statistics) in the article about frequent holidays, weekly manis, pedis and facials and 'being into property'. The researchers hypothesized about the impact of a 'very real' man drought in Sydney on reactionary spending and aggressive career progression. The women quoted in the article just seemed to be getting on with their lives and doing what they'd been brought up to do - to work hard, play hard and enjoy what life has given them. They (and I) are in a very fortunate period of Australian history, despite what the stock exchange tells us. As women, we are no longer told why we can't do things but rather why aren't we doing it. We lack the financial obligations to our siblings and parents of previous generations of women. The Diamond Collective seems to be about being trying to put a dollar value on 'what feels good for me now'. By definition it is a transitory phase in a woman's life. The black and whiters would call leaving the collective growing up and finding what's really important in life. Life for those of us who never quite made the cut for entry into the Diamond Collective still enjoy shopping, mind you. They just like to congregate in suburban shopping centres with lots of clean bathrooms, ample and easy parking as well as wide collection of reasonably priced snacks. 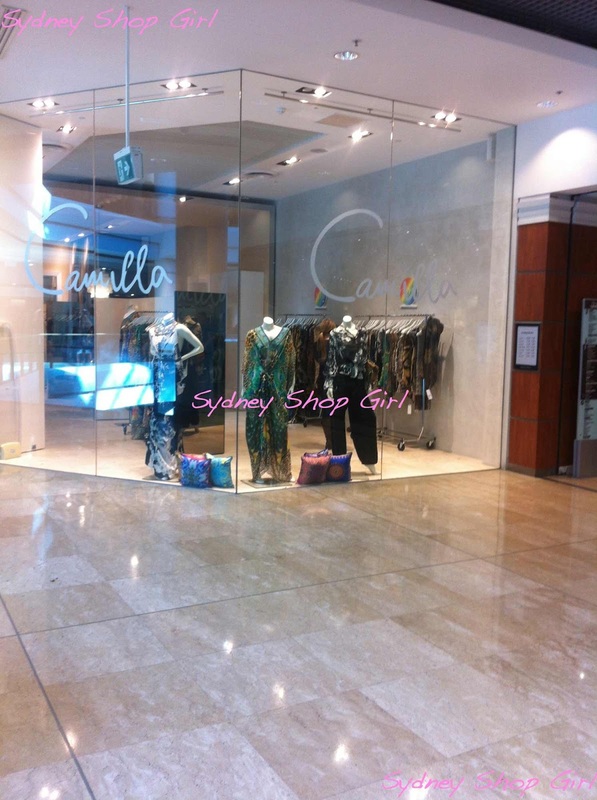 Camilla Franks has finally opened more stores across Sydney! For years now, I've been admiring photos from her collections online and in magazines but have never quite been able to find what I've liked in the limited retail outlets where she was previously stocked. The store in Chatswood is a riot of colour and print and the lovely sales assistant went through the season's future drops on her computer with me. We workshopped which styles would suit me and I promised to return when the new season prints arrive. There are some stunning wedding / fancy event pieces in the collection. Should I start fake tanning now in anticipation, I wonder? Left: bather bottoms and tankini top. Right: Grace maternity bathers. All by Speedo. And then I went bather shopping. I could be facetious and say I was exploring resort and cruise wear but the picture speaks a thousand unglamorous words. I'm finally leaving my foolish pride behind when I go to the pool and wearing maternity bathers instead. I don't know I've left it so long. They're right up there with maternity skinny jeans in the comfort stakes. I bought the Grace maternity bathers ($90) rather than a standard tankini top and bottom set because the standard tops barely cover my torso as I am now. Though the Grace style isn't a racer back, the straps stay are adjustable and stay up through a 45 minute lap session. The leg is pretty low and there's good coverage from behind. The neck sits fairly high and there's plenty of give in the mid section without it being too baggy there. 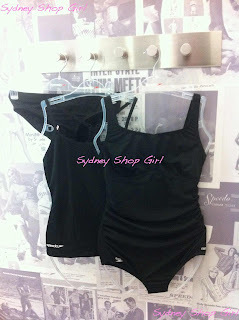 The fabric is chlorine resistant and much softer than standard bathers. I'm going to be living in these togs for the rest of the year. I'm going to refer to them as a maillot from now on, they remind me of the bathers women wore on the French Riviera back in the 1950s. With my maillot in tow, I lolloped (there's no other way to describe who I walk these days) off in search of a solid snack before heading home. Have a lovely day and take care. Your new cossie looks great, nice and classic. 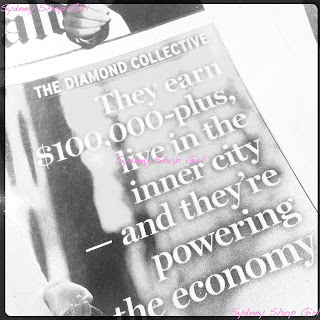 What a name... "The Diamond Collective". The diamond collective indeed. Shopping and owning pretty things is fun but no amount of stuff replaces the warmth and love of human relationships: friend, partner, husband or child. 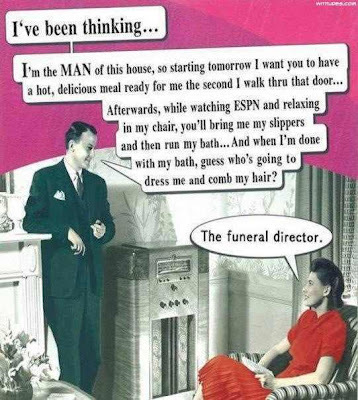 I think most women are smart enough to realise that. Regular snacks are vital at this point in pregnancy. I love how you embraced the maillot - by this stage I had given up swimming, well and truly. I think a kaftan looks amazng on a bump and the colours of a Camilla would be beautiful for a special occasion.